Posted in reality, where in the universe are we? Picked up two, rather badly eroded echinoid fossils from a small scarp on the zig-zag road up Box Hill. 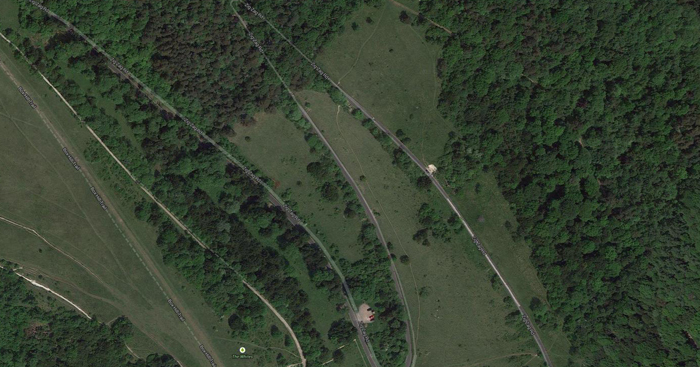 Small exposure of Chalk on Box Hill zig-zag. Just to the right of centre. Echinoid – echinocorys? marker fossil? 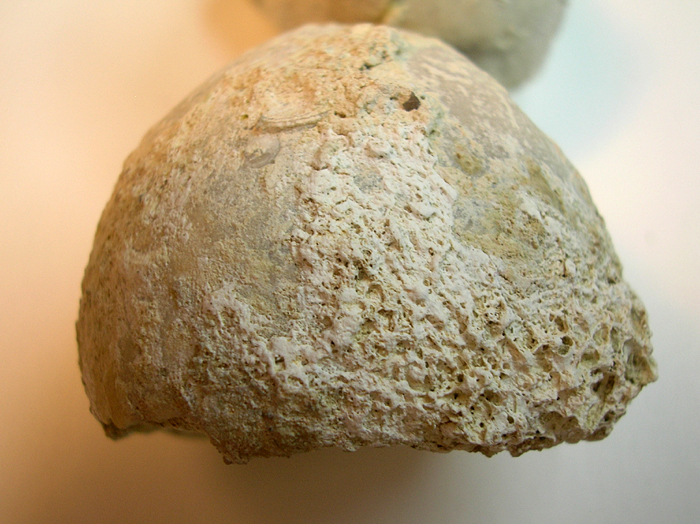 signs of other organisms forming concretions on the test. I’m thinking about using (for art images paintings/drawings?) some astrophotography images taken in the back garden, courtesy of my resident astronomer! I’m interested in the auto-compression patterns produced by the softwear in the camera. I particularly like how the individual pixels that are geometric before being compressed, start to loose their individual identities and morph into more organic shapes the higher the degree of compression applied to the image. When further compression is applied the images start to show new geometry as show by this image. The CCD in the camera can gather light during long exposures. The human eye is unable to do this. The Orion Nebula is 1,344 light years from Earth. 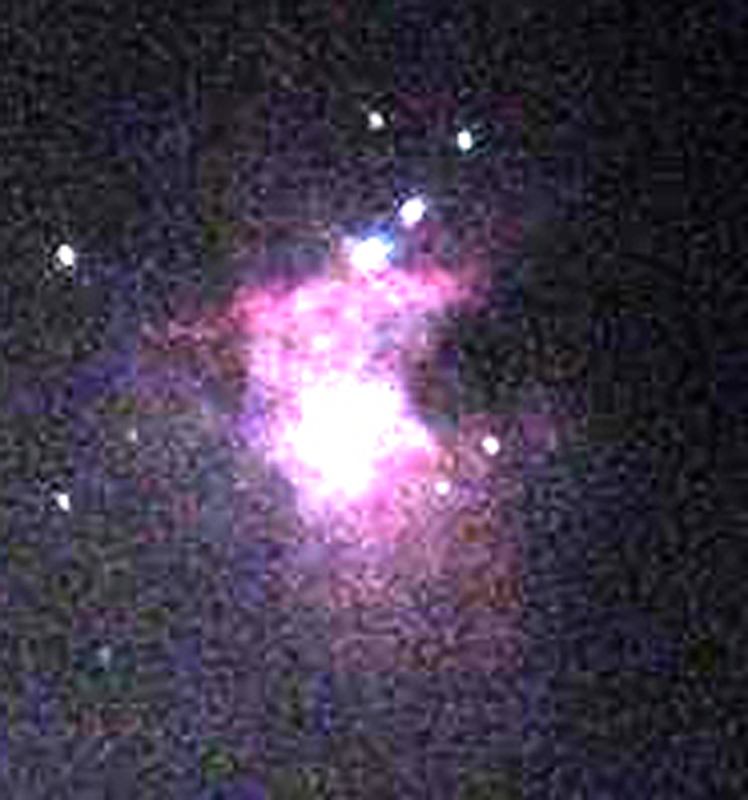 Photograph of the Orion Nebula taken through a telescope using a compact digital camera.